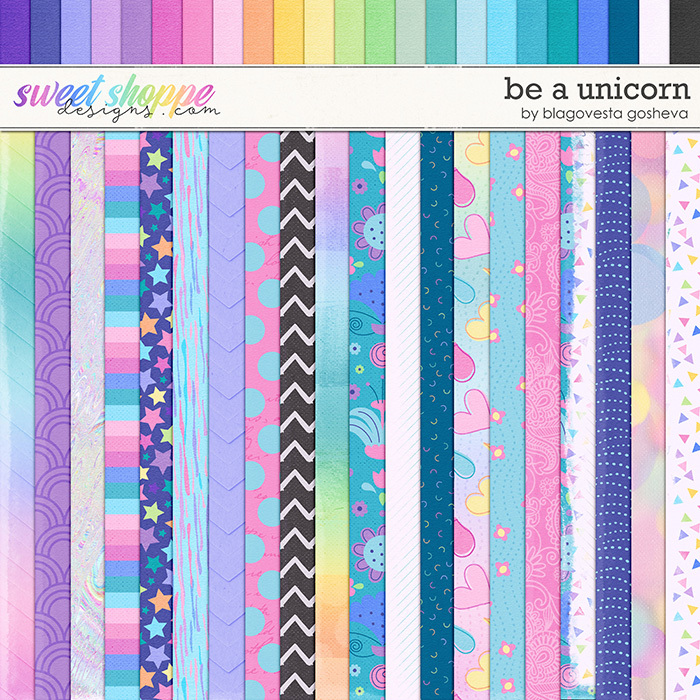 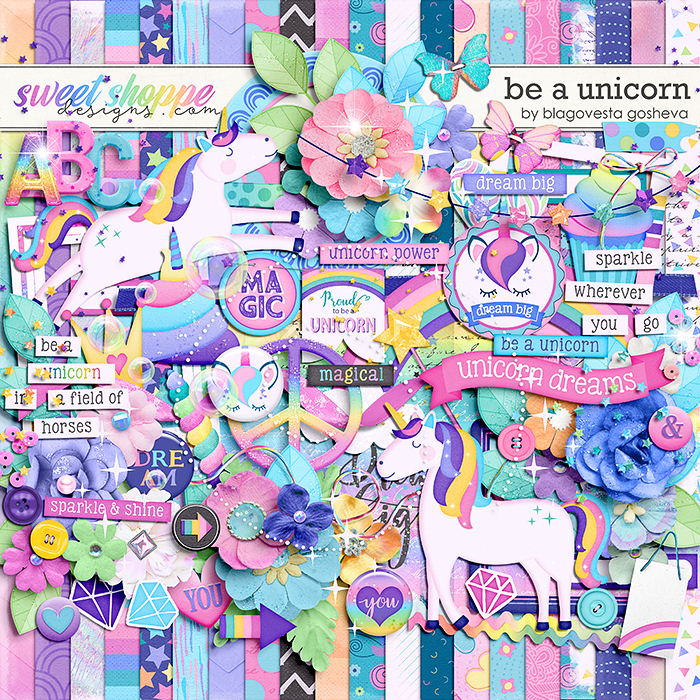 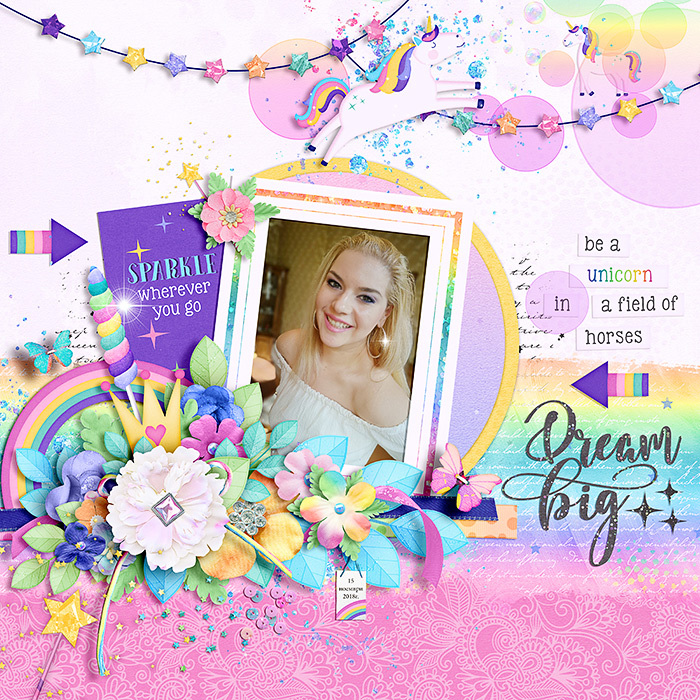 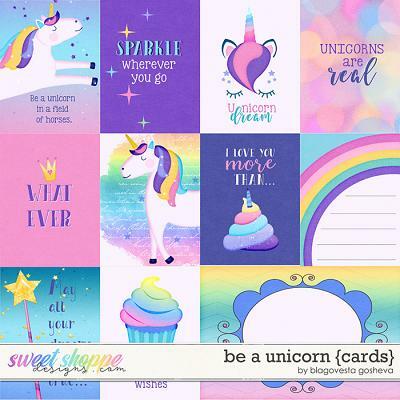 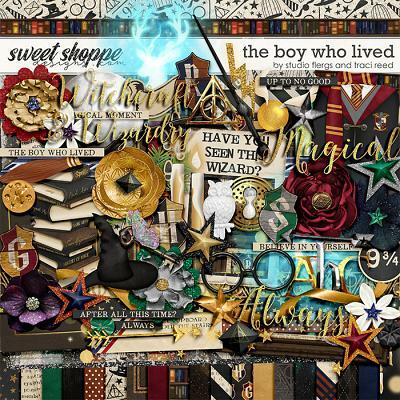 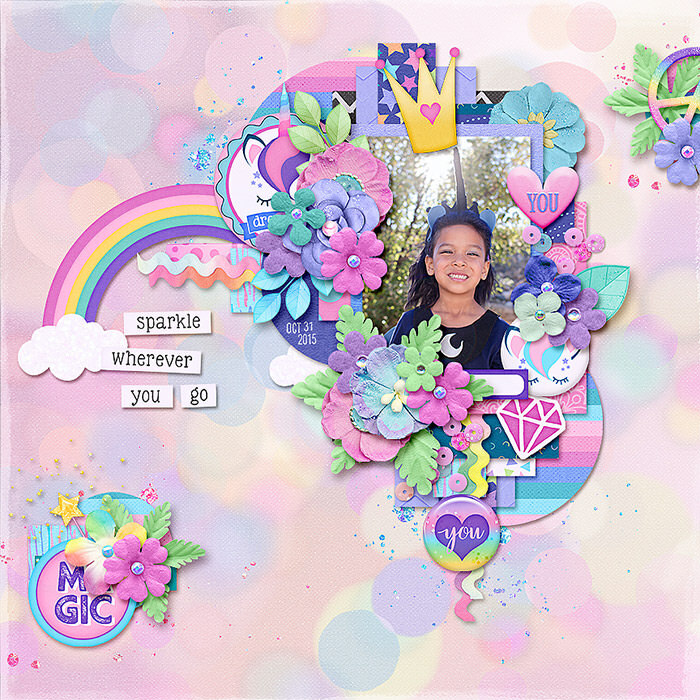 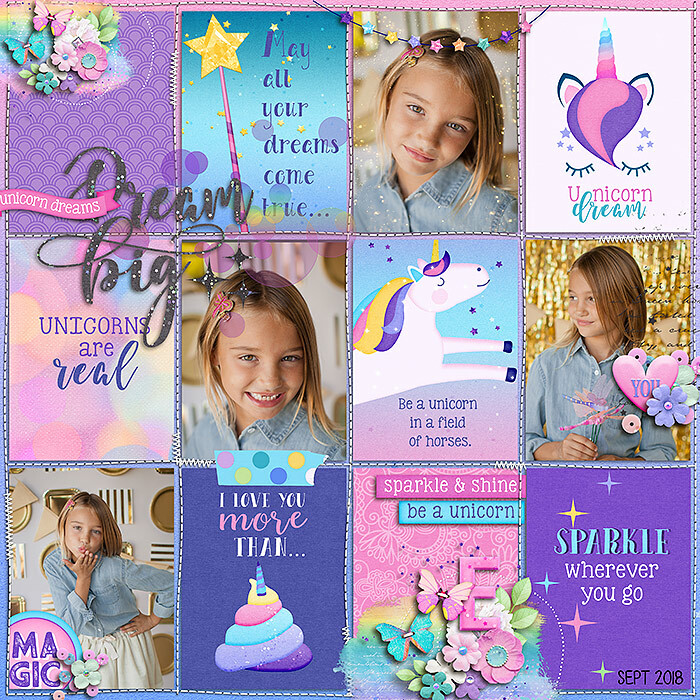 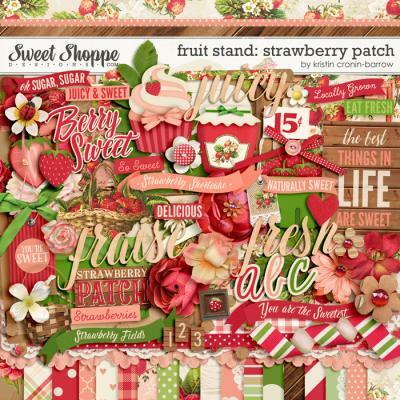 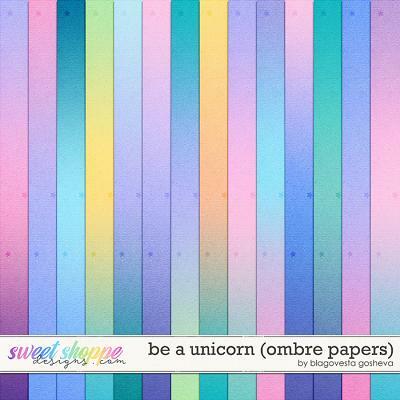 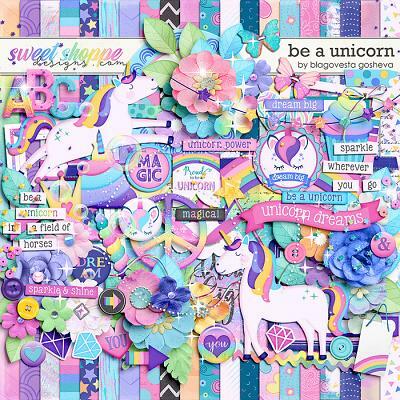 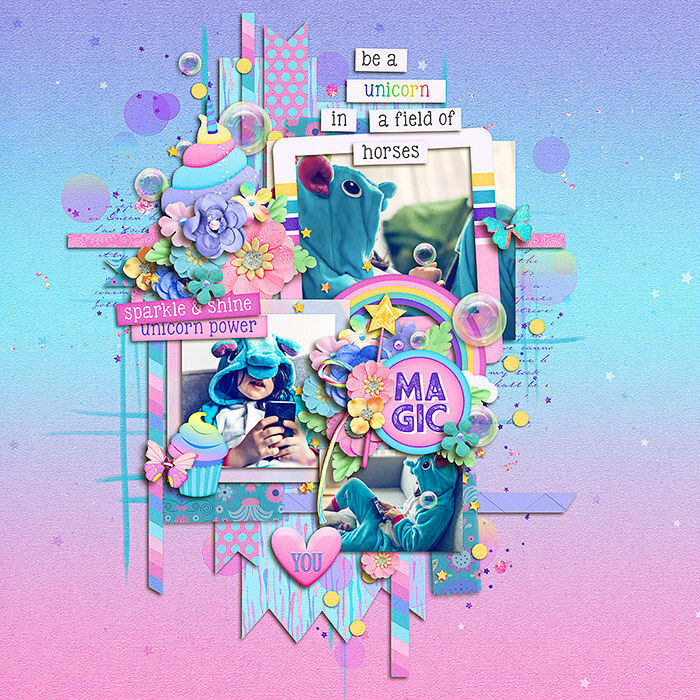 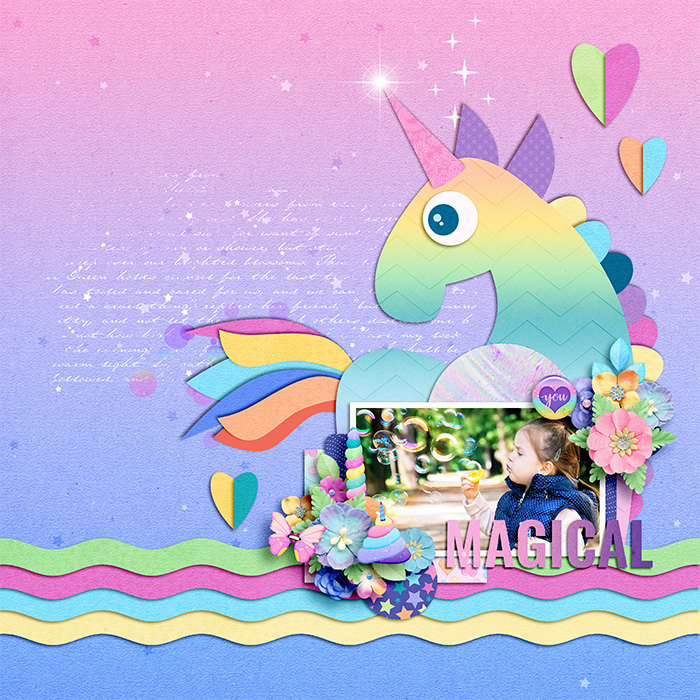 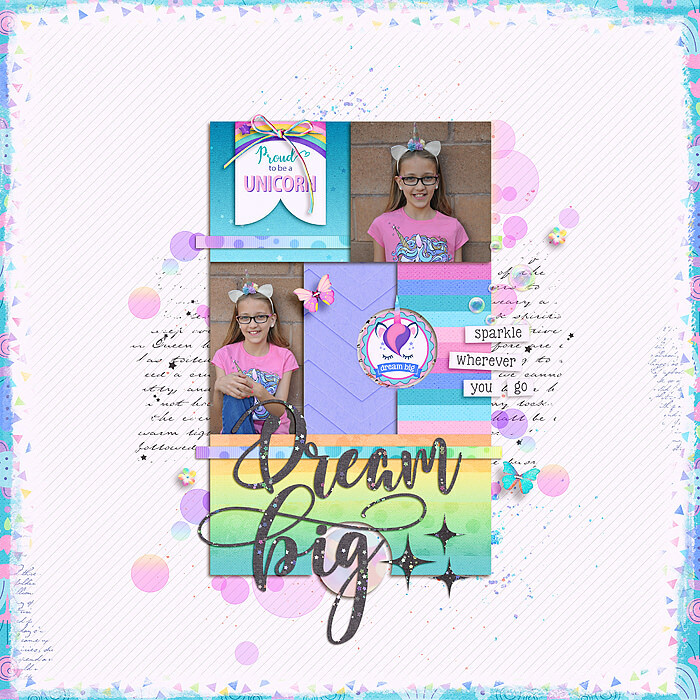 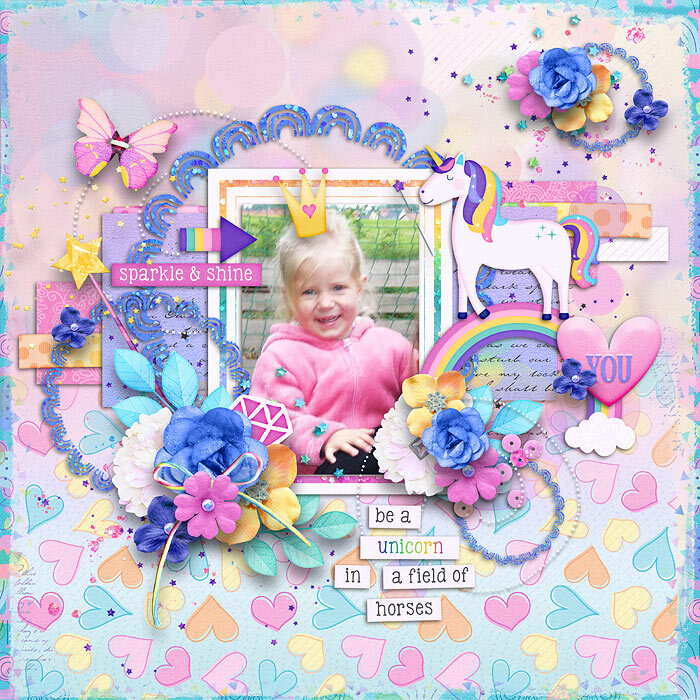 A Digital Scrapbooking bundle by Blagovesta Gosheva, Be a unicorn is is a colorful, cute, girly kit in sweet pastel colors, full of unique hand drawn elements and patterns, perfect to scrap for your little girls. 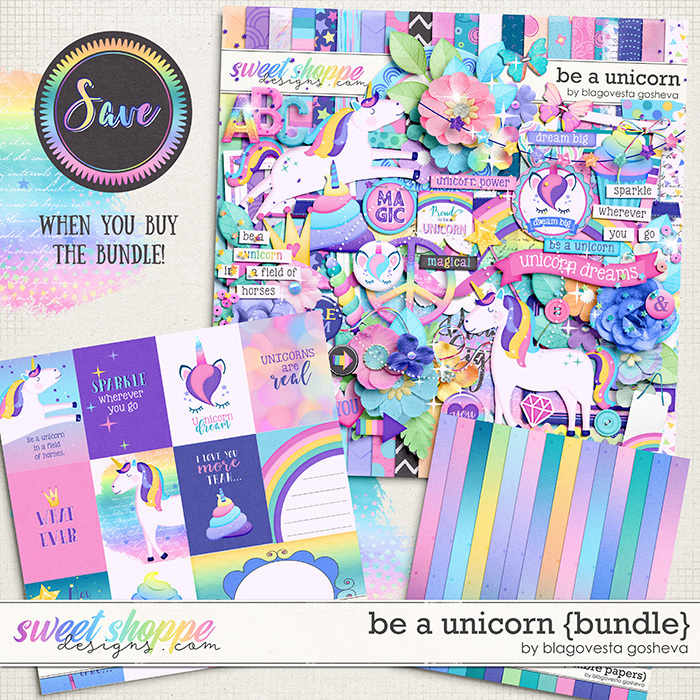 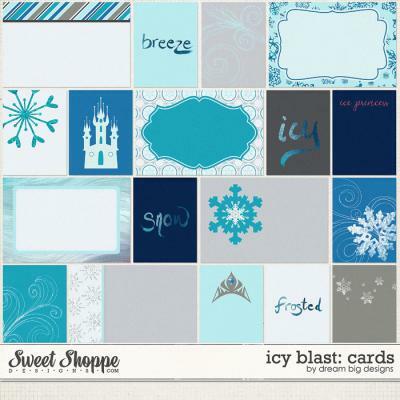 It includes a full kit, alpha in 3 color variations, ombre papers and a pack pocket cards. 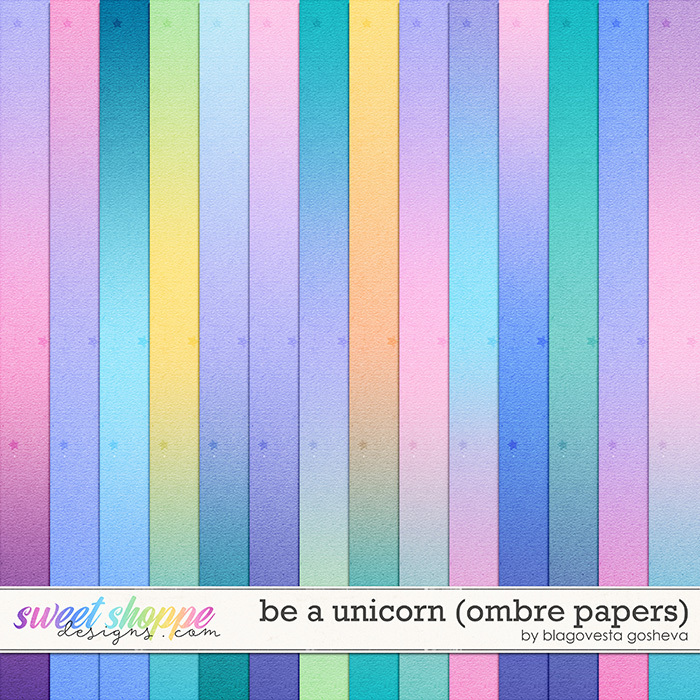 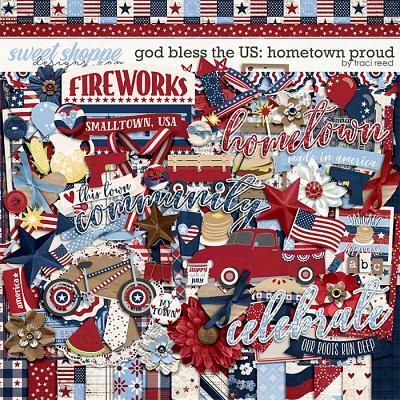 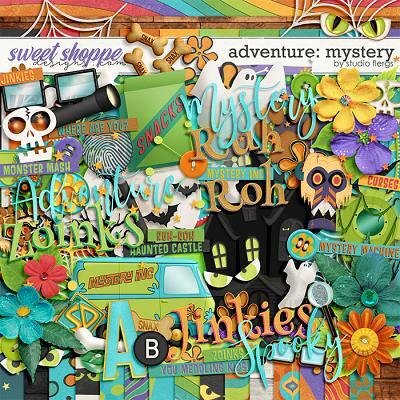 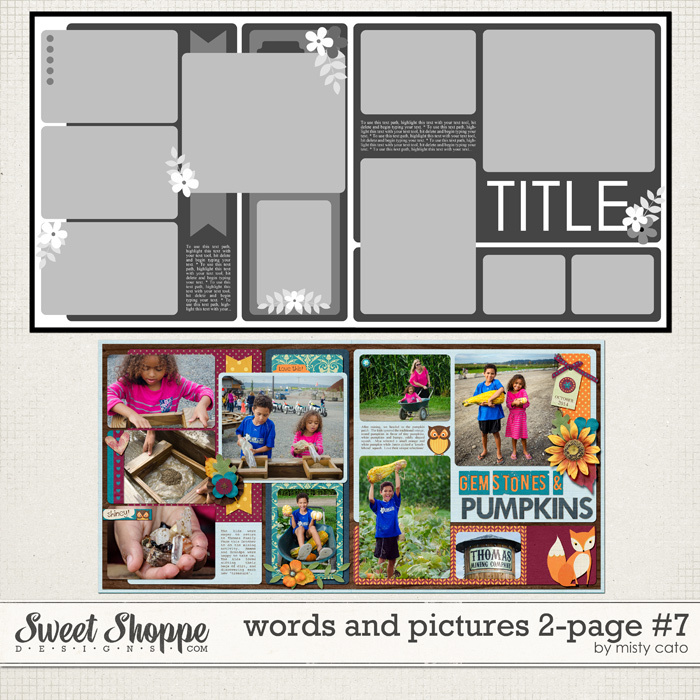 The kit contains: 43 digital papers (20 patterned & 23 coordinating solids), alpha in 3 color variations (uppercase letters A-Z, numbers and some symbols and punctuation in individual PNG files each) and over 100 elements.